The proposed draft of Nepal’s National Integrity Policy (NIP)1 has created havoc among the Non-Governmental Organizations (NGOs), International Non-Governmental Organizations (INGOs) and the wider human rights community in the country. It has been reported that the National Integrity Policy drafted under the previous government was discussed and polished amongst the stakeholders in April 2018, at a meeting organized by the Office of the Prime Minister, the Department of Integrity Promotion, and the Corruption Surveillance Unit. One of the key aims of the policy is to rein in the NGOs and INGOs working in Nepal. 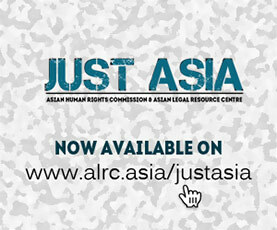 The Asian Human Rights Commission (AHRC) and the Terai Human Rights Defenders Alliance (THRDA), have strong reservations on some of the provisions in the proposed policy, which will adversely impact human rights work, including freedom of expression, freedom of association and freedom of assembly, democracy and the rule of law. While the proposed National Integrity Policy consists of 17 different sections, this analysis focuses only on the regulations relating to the activities and conduct of NGOs and INGOs under section 9. Through this analysis, we recommend the government of Nepal to make essential amendments to the policy. We also call on all concerned actors to raise their voices and demand that the government of Nepal not place restrictions on civil society. Like the previous governments, the incumbent government under the leadership of CPN-UML Chairperson KP Sharma Oli, is preparing to issue a National Integrity Policy. As it stands, the proposed National Integrity Policy will create unnecessary hurdles for the NGOs/INGOs2 including human rights community in Nepal, once it comes into effect. The stipulated objectives of the proposed policy are: a) to develop a culture of corporate governance, b) to develop a culture of corporate governance on the basis of basic principles of integrity, c) to promote and develop a system of integrity in public affairs and d) to develop self-discipline in every person involved in public affairs. At first glance, all these objectives seem good. However, some of the points included in the provisions for the NGOs and INGOs working in Nepal under section 9, create administrative hurdles and place restrictions on their activities with the intent of contracting democratic space for civil society. This move is on par with global trends to shrink space for civil society3. Like any other government policy inherited through the autocratic monarchy, the proposed NIP has been kept secret, with no public consultation or discourse4. Of the 17 sections included in the policy, we are here concerned with section 9, relating to regulations on the activities and conduct of NGOs and INGOs. Section 9.2.3 deals with the activities and conduct of NGOs. Sub section 2 states that NGOs seeking foreign funds should seek consent from the Ministry of Finance stating the reasons for seeking funds and the amount. Such permission was never required earlier. Similarly, sub section 6 states that if an NGO has prepared any report or bills or any other details for any INGOs, those should be submitted to the concerned agency. Sub section 7 stipulates that only a fixed percentage of funds can be spent for administrative purposes, while sub section 8 states that NGOs will be scrapped if they fail to renew their registration within three months from the time given. This provision is also new. Sub section 12 states that an NGO should not lobby in favour of any INGOs making inappropriate allegations against Nepal, causing humiliation or producing materials that spread hatred. Sub Section 13 obliges the NGO to report to the concerned agency. Section 9.2.4 of the NIP deals with the code of conduct for the INGOs. Sub section 1 provides that each INGO must take prior approval for annual activities and budget to work in Nepal. Sub section 6 stipulates that an INGO should not influence or lobby or create pressure for law-making or policymaking. Sub section 8 says an INGO should not make and send to its originating country any materials with inappropriate allegations against Nepal, or that cause humiliation or hatred or disharmony. Sub section 11 says an INGO should not send any report to its country without permission of the Nepal government. Sub section 14 stipulates that it should not work against the civilization, culture, social relation and harmony of Nepal. All these provisions indicate a clear intent to control human rights work in Nepal. The reports of human rights INGOs like Amnesty International and Human Rights Watch have been criticized on many occasions by the Nepal Government and its supporters. Many local NGOs working for the protection and promotion of human rights in Nepal work in close coordination with those organizations, to internationalize the issues and take global support. The compulsion to take prior approval from the finance ministry to work in Nepal will restrict their capacity to work, as well as narrow the issues they may work on. The restriction for NGOs and INGOs to obtain permission prior to sending out any reports will jeopardise human rights work, as past behaviour reveals that the government always considers NGO/INGOs reports as unnecessary criticism. Similarly, any activities to promote awareness on the rights and dignity of vulnerable and marginalised groups like Madhesis, Muslims, Tharus or Dalits may be interpreted as a disturbance to social harmony and as causing hatred. The deportation of Robert Penner5 is a clear example of this. According to media reports.8 the government has proposed a special mechanism under the Ministry of Home Affairs to exercise oversight on I/NGO activities. It has also proposed entrusting responsibility for such oversight to the security agencies, including the Nepal Army, requiring them to keep close tabs on international development organizations and foreigners working in Nepal. Apart from other policies, the following integrity policies shall be enacted and enforced for non-governmental organizations and their office bearers. 1) NGOs shall be categorised into two types with one being listed as NGOs receiving foreign funds and another being listed as NGOs not receiving foreign funds. These two types of NGOs shall further be subcategorized based on the nature of their work. 2) NGOs seeking foreign fund should seek consent from the Ministry of Finance stating the reasons for seeking funds and the amount of assistance. 3) Registered NGOs which have received the permission to execute their programmes shall inform the concerned local levels about their programmes and upon completion of their programmes, they shall seek recommendation from the concerned local levels before submitting their report to the agency where they have been registered. 4) NGOs who have received foreign assistance after getting permission for the same from the Ministry of Finance, should notify the MoF and local administration within seven days about the foreign assistance the NGOs have received so far. 5) NGOs cannot apply and win government contracts. 6) If reports, bills or any other reports on INGOs have been prepared, the copies of the same should be submitted to the concerned agency. 7) NGOs cannot spend more than a fixed amount for administrative purposes. 8) Registration of NGOs failing to renew their registration within three months from the time given to renew their affiliation will be terminated. 9) More than one member of the same family cannot hold executive post in the same NGO. 10) A person cannot hold executive post of an NGO for more than two terms. 11) Public post holders cannot remain in NGOs. 12) NGOs should not lobby for any INGO which makes irrational allegation against Nepal, spreads hatred against Nepal, or prepares hateful materials against Nepal. 13) NGOs having information of any foreigner or INGO acting or trying to act against Nepal, Nepali civilization, communal harmony of Nepal should immediately inform the concerned agency of the same. 1) All INGOs shall submit the details of their programmes and budget to the Ministry of Finance and should spend amounts only after their programmes are approved by the Ministry of Finance. 2) INGOs can not violate their statutes and conditions they accepted while seeking their affiliations in Nepal. 3) The taxable expenditures of INGOs should be brought under tax net. 4) INGOs should submit report of their auditing. 5) INGOs cannot collect money in Nepal for any purpose. 6) INGOs should not lobby for, create pressure or influence anybody for any kind of laws and policies. 7) INGOs should not make organized efforts to influence or exert pressure on anybody. 8) INGOs should not engage in making false accusation against Nepal, create hatred or prepare hateful materials and send these materials to their countries or propagate such messages. 10) INGOs cannot run programmes directly. 11) INGOs cannot send reports directly to their countries. 12) INGOs cannot spend more than a certain amount of money on consultant, foreign tour and hotel bills. 13) INGOs should fix the number of foreigners to work in Nepal. 14) INGOs should not work against Nepal’s civilisation, culture, social relations and goodwill. 15) INGOs should not propagate or impose their own religious, social and other agenda. 16) Public post holders should be provided facilities for the work done as public post holders. 17) A first-class officer or higher officer who have retired from the government offices without completing five years and those post holders from the constitutional bodies who have gone to work in NGOs supported by foreign assistance after five years of retirement will not receive any assistance from the government offices. 18) A foreigner working in Nepal cannot hold the same post in Nepal for more than three years. 19) INGOs registration will be cancelled if they fail to renew within three months. 20) Legal and structural mechanisms to be made to regulate and control INGOs. 21) Affiliation and registration of those INGOs that work against Nepal’s interest and laws will be revoked. 22) If any INGO is found to have been working as an assistant of any foreign embassy or religious organisation or if any INGO is found to have supported their narrative, then their affiliation and registration will be revoked. 23) The government will grant permission to foreigners wishing to work in INGOs only after seeing the track record of the applicant. 24) As proselytism is banned, foreigners and foreign agencies must sign affidavits committing not to convert people overtly or covertly. 25) If any INGO is found to have engaged in conversion, then affiliation of the INGO will be cancelled. 1. “OPMCM drafts National Integrity Policy – The Himalayan Times.” 26 April 2018, https://thehimalayantimes.com/nepal/opmcm-drafts-national-integrity-policy/. Accessed 1 May 2018. The Terai Human Rights Defenders Alliance (THRDA) is a non-governmental organization registered under Nepali law and is working to protect and promote human rights through research, legal intervention and advocacy. It works in close coordination with Nepal’s National Human Rights Commission, and reports to international human rights organizations, including the UN Office of the High Commissioner for Human Rights.